“Make it ridiculously easy to rent a car”. 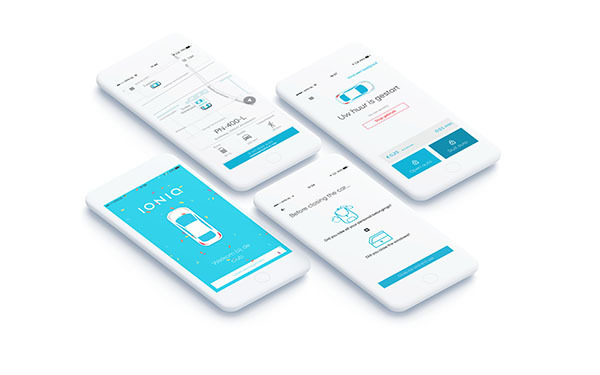 That was the challenge we got when we had just three months before the launch of IONIQ car sharing: an on-demand, free-floating service for car sharing. 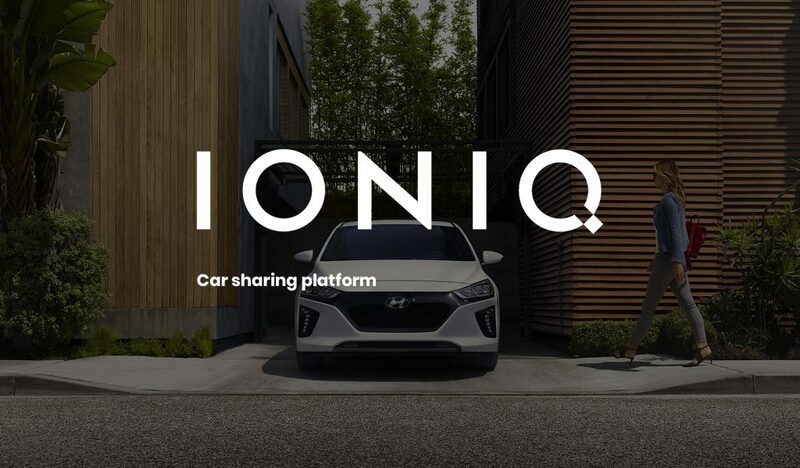 With their IONIQ, a completely electric family vehicle, Hyundai wanted to disrupt the Dutch car-sharing business. However, the actual digital service that would enable and stimulate the growth of car sharing still needed to be developed. The challenge was big: a back-end, numerous API-integrations, two consumer applications and a marketing website, and all of that in a mere three months. We surprised friend and foe with clever innovations that enabled a smooth end-to-end user experience. This included an automated drivers licence check, keyless car-entry with the app and a smart back-end system to manage the car park via Share2Use. High parking pressure in large cities, a lot of unused cars in the street, sog in the air and many traffic jams. Every day. The mobility problem is still far from solved. Hyundai saw an opportunity to solve this problem by introducing a new car-sharing service with a unique proposition: no recurring bills, cheaper than every possible competitor and bigger, more luxurious cars. And first and foremost: the Hyundai IONIQ is completely electric, decreases the CO₂-emission and brings sustainable transportation to the masses. You can imagine that we were excited to contribute to this project. Car sharing is nothing new. To beat the competitors and to exceed expectations, Share2Use approached us to design and develop an easy to use digital service for end-users and employers. And we only had three months before launch. The plan was to launch with 100 cars in Amsterdam and expand after. We created an Android and iOS app with automated drivers licence check, which enables users to start driving within minutes. With the results of user tests, we were able to create an easy to use reservation flow. Users can unlock the cars using the mobile app. It provides users with all the necessary information, like parking instructions and what to do in case of damage to the vehicle. It is very important to us to listen to our users. To be able to continuously improve the user experience, we’ve integrated a feedback mechanism. In addition to the mobile app, we’ve created a fully responsive marketing website, a user-friendly fleet management application and a reporting solution. We’ve also enabled KPI-tracking for stakeholders. We started by studying our competitors and learning from their shortcomings. We talked to their users, read reviews and tried out their services. We got to know why people use their services or what kept them from doing so. Based on the insights we’ve made a design with the same minimalistic style as the IONIQ brand. We tested the prototype multiple times to solve the accessibility problems before the service would be released tot the public. When Share2Use first approached us, the deal with Hyundai was not made yet. We helped Share2Use create a convincing pitch for Hyundai and we built their complete product. Which required research, planning, application-architecture, UX/UI design and platform development. At this moment, Share2Use is the second largest on-demand platform for car sharing and is growing rapidly. The platform supports more than 120 cars and 5000 registered customers. Thes accomplishments were largely possible thanks to the collaboration with Sping. While the platform is evolving and usage is increasing, we’re working with Share2Use to improve the quality of the service. We, for example, are working on an improved rewards system for people that charge the battery of the cars and we’re researching opportunities for the B2B market.